Go light, go fashionable! 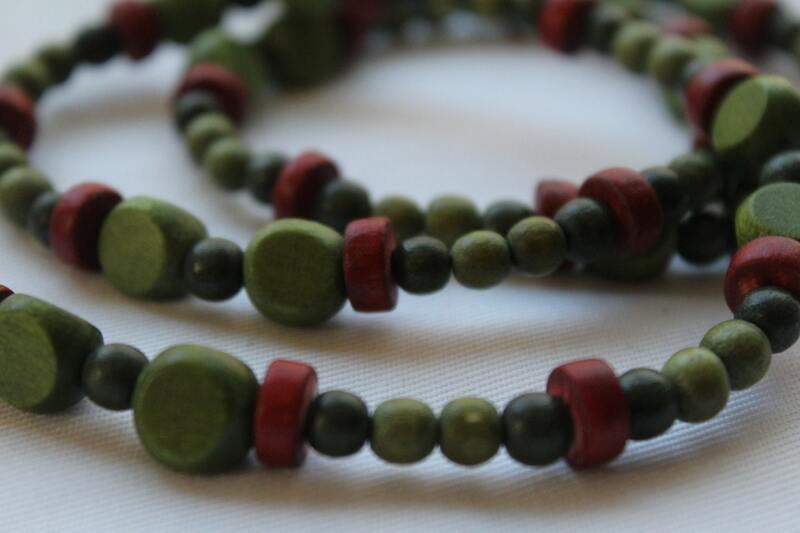 This green and red wood bead eyeglass chain is very light in weight. It makes a practical accessory for anyone to wear, from young to old, boho chic to grandma! 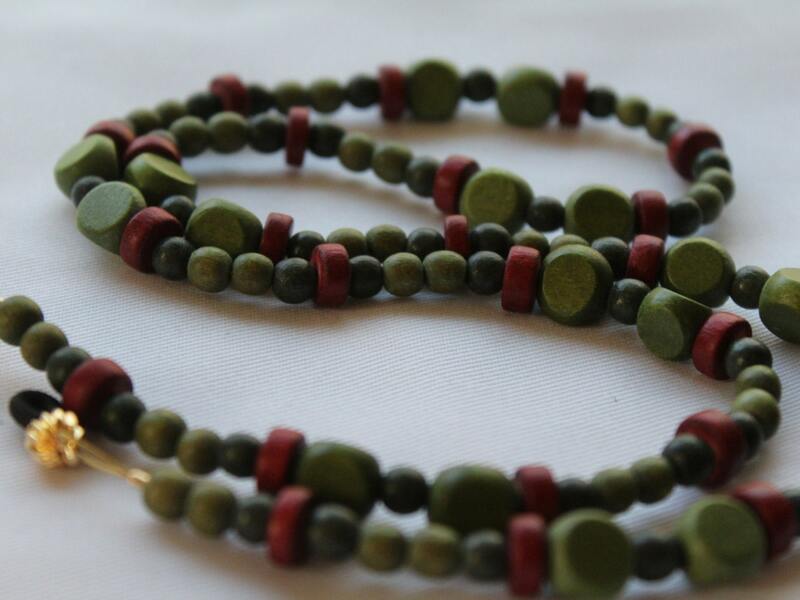 This eyeglass chain measures approximately 30 inches in length and is a wonderful, everyday, useful piece to have! 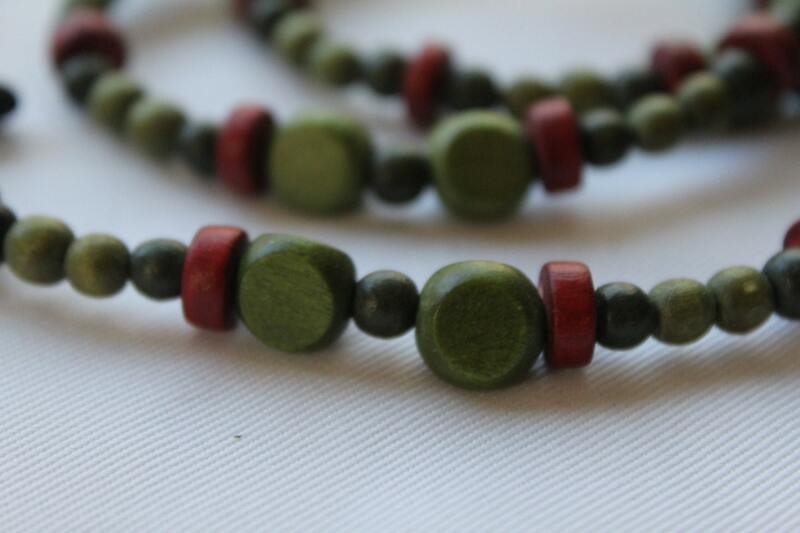 All the beads used in this eyeglass chain are made of wood. 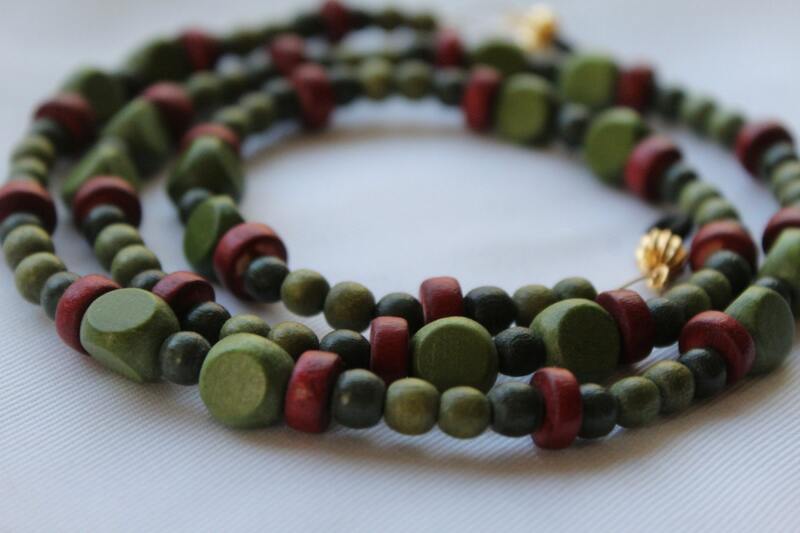 This eyeglass chain is an original design, created and made by Michele of MichelesAManoDesigns.